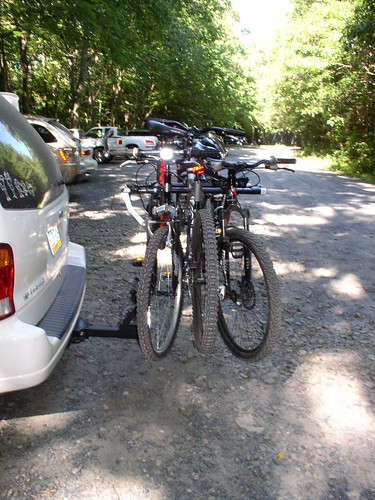 Early this morning a couple of friends and I loaded our bikes on the Allen Bike Rack 550RR to hit the trails. With its long carry arm, the 550RR is designed to carry 5 bikes which easily held our three bikes. I was really impressed about the individual tie downs that it came with. I’ve used to those other name brand racks that used Velcro to strap down your bikes, something that would make anyone nervous about putting their precious cargo in the back of a speeding car. 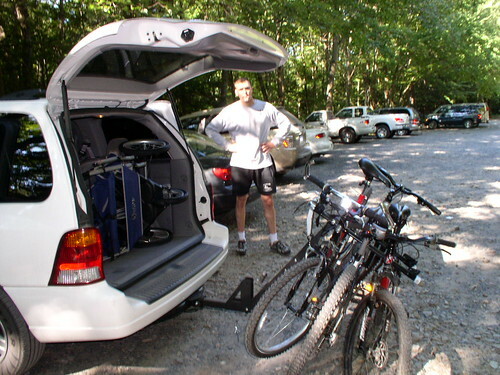 The Allen Rack is equipped with a patented tie-down system that individually secures and protects your bikes. This works GREAT! The 550RR could fold down without having to remove the bikes in the event that you need to get into your trunk. This is a awesome feature no explanation needed. 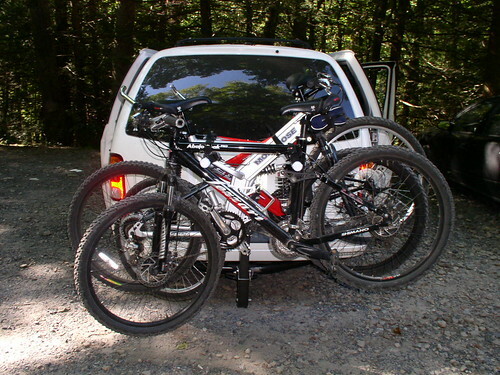 I plan on doing a more thorough review but so far, the Allen Bike Rack 550RR has surpassed all my expectations. Dude, I didn’t realize how nice that bike rack is!